If you steal someone's motorized wheelchair to go for a joyride, you're sick—Or maybe just completely drunk like this guy. How drunk was Richard Kulma when he was busted? Three times the legal limit drunk. So too blacked out to walk let alone operate so much as a can opener. Look at this police dash cam footage in the news report below. What a hot mess. 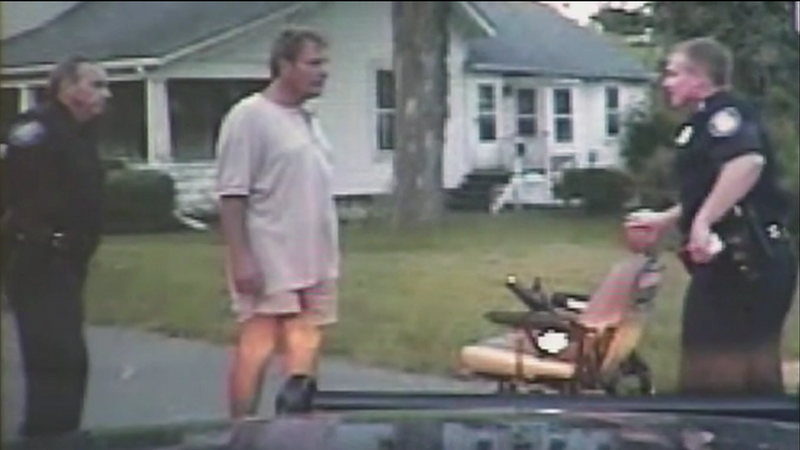 Police busted Raymond Kulma drunkenly driving another man's wheelchair down the streets of Utica, Florida. According to WTSP, Kulma got into an argument with James Konkel at a nearby retirement home when Kulma took off behind the wheel of Konkel's motorized wheelchair. Kulma failed three sobriety tests and was arrested.